In May of 2015 we left Winter Haven, Florida and headed to San Diego, California for a five-week vacation. On the way home, we decide to go to Jacksonville, Florida to end the trip and then back home to Winter Haven. From the time we pulled out of the driveway and back again, our faithful vehicle took us 6,161 miles. What a beautiful country we live in and the wonders of the Lord’s Creation to behold. Plus, He provided lots of birds for us to discover. Praise the Lord for a safe trip and many sights to enjoy. Come along and enjoy the sights and a few sounds from the trip. With over 8,000 photos, plus Dan’s, there are stories to tell. 06/04/15 T Jacksonville FL Home – Winter Haven FL Yeah! Wow, this is neat. 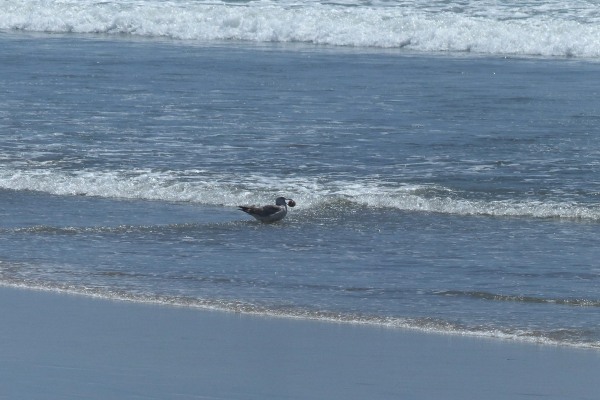 And if I didn’t know better, I’d think you had just picked up that little gull and carried him with you from one ocean to the other. 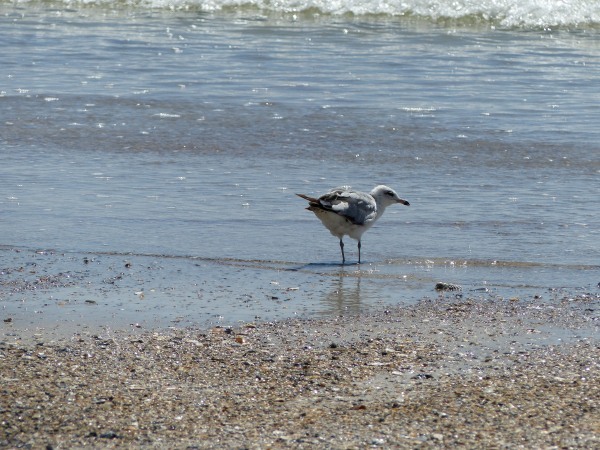 It’s interesting that although so many things are very, very different as we travel from one part of the country to the other, there are still some things that remain the same — such as similar looking gulls enjoying the ocean in the same way. Even though they live over 6,000 miles away from each other, they are indeed very much the same. It makes me hopeful that we human beings can still find some very common threads that bond us together as being very much the same deep down — even though we live totally different lives. No, I did not kidnap the Gull! The car was too crowded for him. :) Just under 3,000 miles apart, give or take. Actually, when we came to our room in Calif, I hit the “home” on the GPS and it was 2,483. The 6,000+ was all driving driveway and back to driveway. Oh, that’s right. I knew that. DUH!